Located in Tamil Nadu, the Brihadisvara temple at Thanjavur was built by the great ruler Rajaraja Chola of the Chola dynasty. The 10th century AD site is an example of Dravidian temple architecture. The central temple called the Periya Koyil, or big temple, stands inside a fort whose walls were built later on in the 16th century. 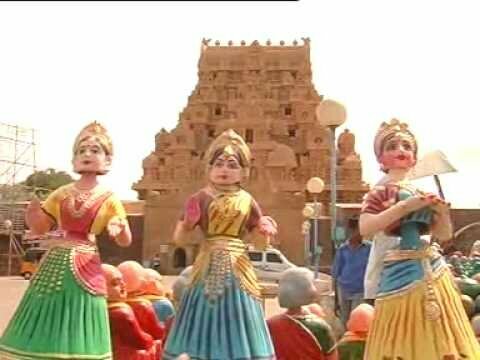 The Great Living Chola Temples consist of the 11th century Brihadisvara temple at Thanjavur, the 11th century Brihadisvara temple at Gangaikondacholisvaram, and the 12th century Airavateswara temple at Darasuram. Temple consists of the garbhagriha, ardhamandapa, mahamandapa and mukhamandapa and aligned on the east- west axis. This site is recognised by UNESCO.